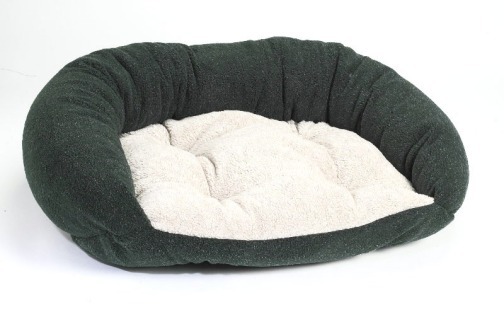 Oriental pet beds are made from fine handmade "Kilim" rugs. 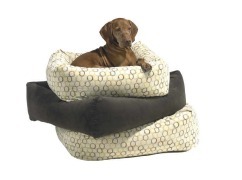 These beds are one of a kind and will enhance the beauty of any decor. Average size is 36" x 36"
A nest of poshness, the extra deep and dreamy cushion is encircled with sumptuous expanse shown above in Zebra, Leopard and Pink fabrics. Its soft as a marshmellow on both sides, with just the right plumpness for snuggling up. 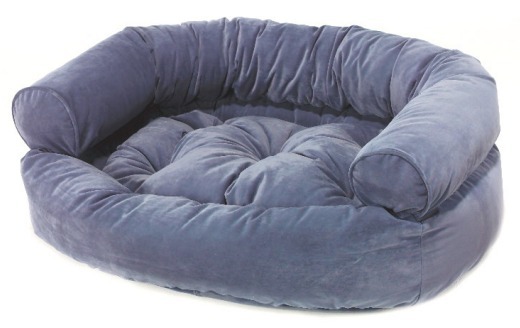 The bottom side reverses into another snuggly bed. 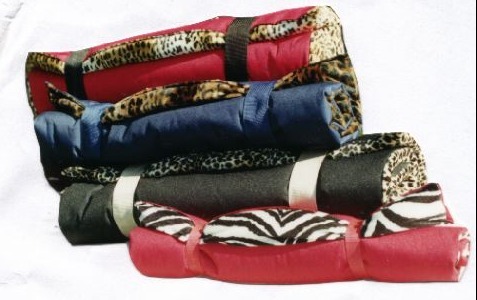 Cushions are zippered, removable and machine washable. Made in the USA. 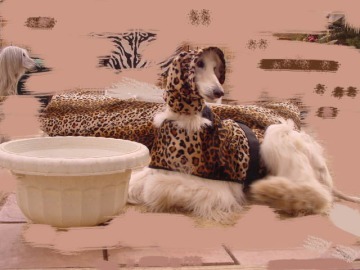 For Cheetah Faux Fur add $10 per bed. 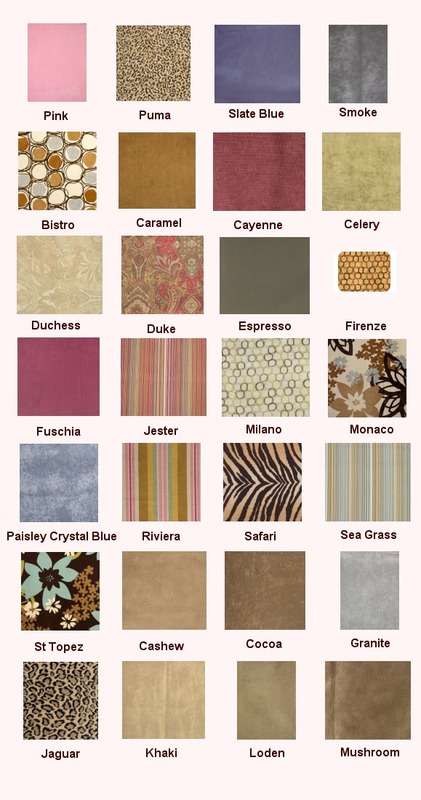 Email for costs on the Chenille fabrics. 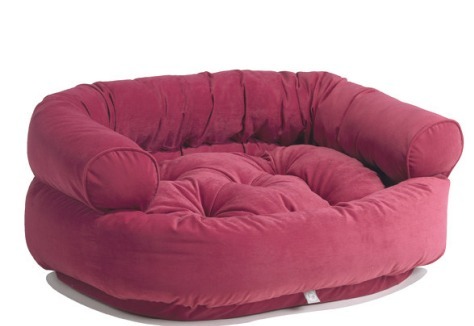 Sizes available: Tiny-up to 10 Lbs -24"round, Small-up to 25 Lbs - 30" round, Medium-up to 50 Lbs -36" round, Large-up to 75 Lbs -42" round, X Large-up to 100 Lbs-60" round. Please specify fabric upon checkout. 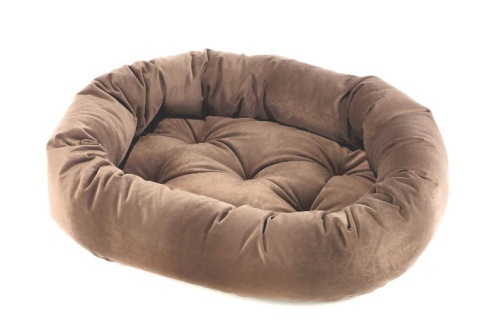 The oval outer ring creates the feeling of security pets love, while the removable tufted cushion can be used as a crate or travel mat. 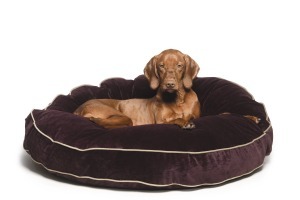 Circular tufting creates an elegant upholstored look and ensures fibre does not clump or shift when washing. Machine Washable & Dryable. Fabric shown above left-Crimson, right-Mink in MicroVelvet. 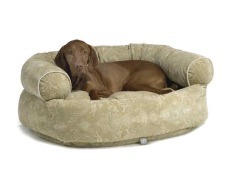 Dogs and cats love the "security" of the outer ring, while the open front allows easy in and-out access! Unique design makes bed completely reversible  simply turn bed "inside out" for great new look!! 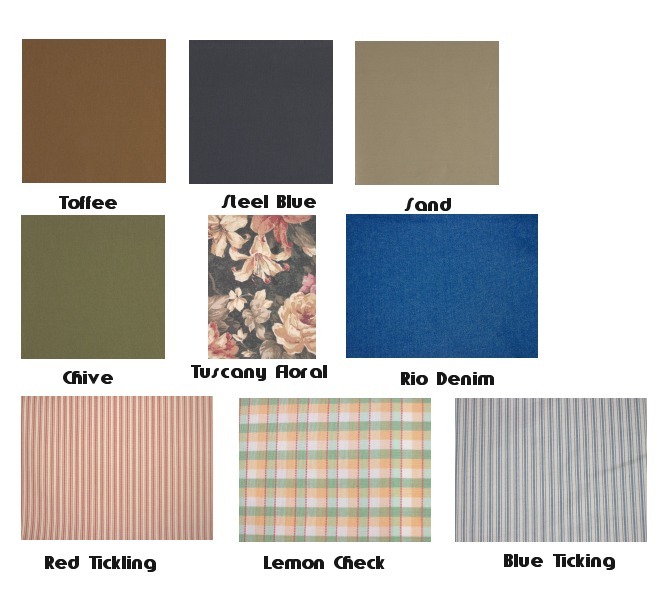 Cozy, durable Berber fabrics. Available Sizes: Medium-33" x 22", Large-38" x 24", XL-45" x 27"
Please specify fabric color upon checkout. 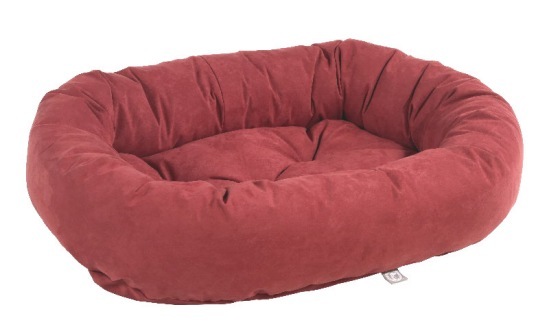 Luxurious bed for dogs that like to stretch out and curl up! We have improved this "classic" design by adding a 6" gusset (border) and attractive contrast cording. 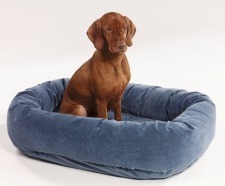 This bed is overstuffed with "high-memory" fibre fill, the same quality found in sofa cushions. Unzip outer cover for washing. The latest trend-setting design by Bowsers. The Dutchie's clean lines and overstuffed bolsters, combined with zippered covers for easy washing, make this a stylish and practical addition to the home. Outerside is made of durable water-resistant Cordura. 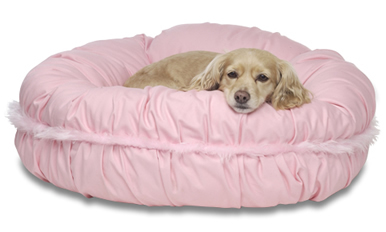 The inside is soft, comfortable sherpa or imitation hide to keep your pet warm and cozy. Perfect for travel-just roll it up, fasten the straps and carry. Totally washable. People love lying and sitting on this too. Paloma never goes anywhere without her Pet Bedroll. 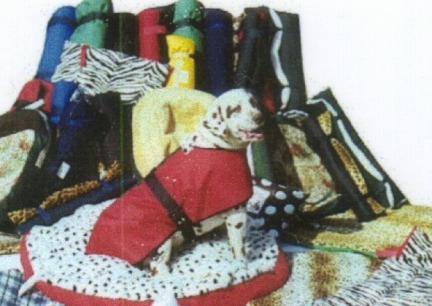 A "must" for spotted dogs. The outer blanket is made of Cordura - a durable, water resistant fabric. A fur lining can easily be inserted for those cold nights or long winter walks. There are no bulky buckles or uncomfortable snaps to cut off circulation. All slides (not buckles) are made of durable plastic and the velcro straps are designed to break away. Straps and lining are removable and all parts are machine washable.